We look at your ideas, sketches, examples from our web site, or any other source of inspiration to find your perfect design. 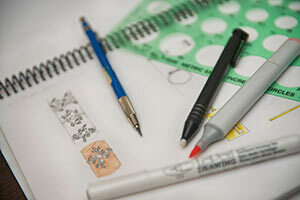 Once we have the primary elements, your designer creates a design, usually with a few variations. This takes 1 to 7 days; Sometimes we come up with great ideas on the spot, while you sit and enjoy a latte! There's no cost for the first 1-2 sets of designs. 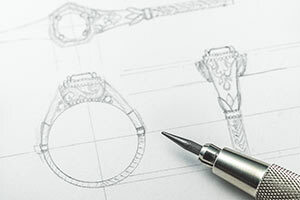 Your artist may design with hand sketching, CAD modeling, or other programs. We want to WOW you and will work to make your designs uniquely tailored to your ideas, and to exceed your expectations! We love helping you create something that is unique, inspiring, and as individual as you are! 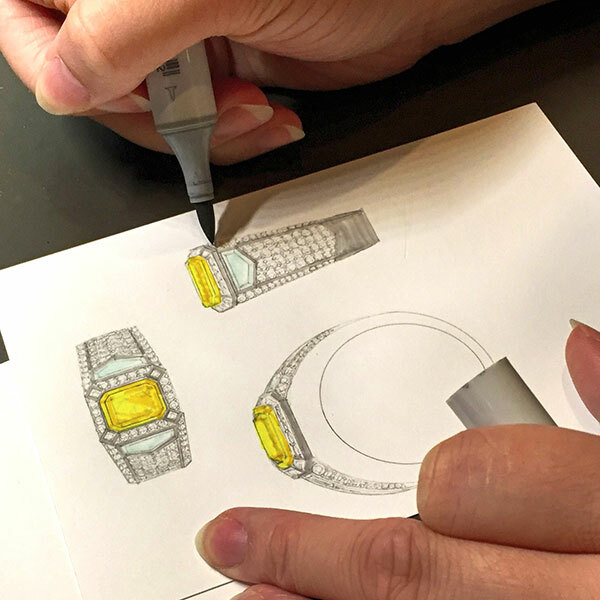 Although we may already have a rough sketch of what you are looking for, a more polished and detailed production drawing is often required at this time. 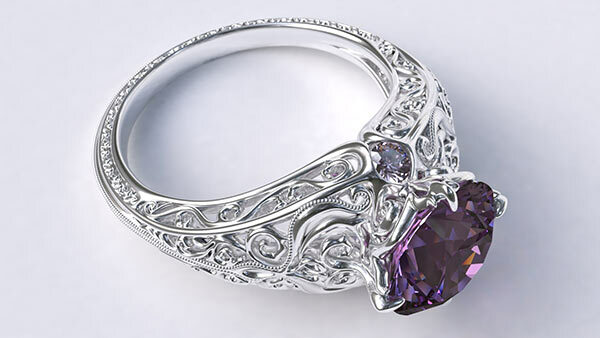 We will work with our professional artists to create a realistic diagram of what your finished product will look like. The design can always be modified if you don't see exactly what you want. The drawings can be faxed, emailed or viewed and shared with anyone you like on your very own personal Online Design Page SM. Or, if you prefer, come to Seattle and view them in person! The decision is yours. The next stage is really micro-engineering your design; We model your piece with one of our state of the art 3-D computer design softwares, and create photo-realistic renderings for you. 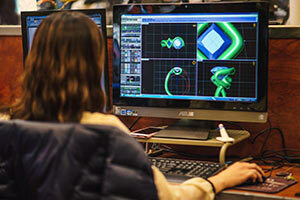 Our Artists work with you to perfect the design. 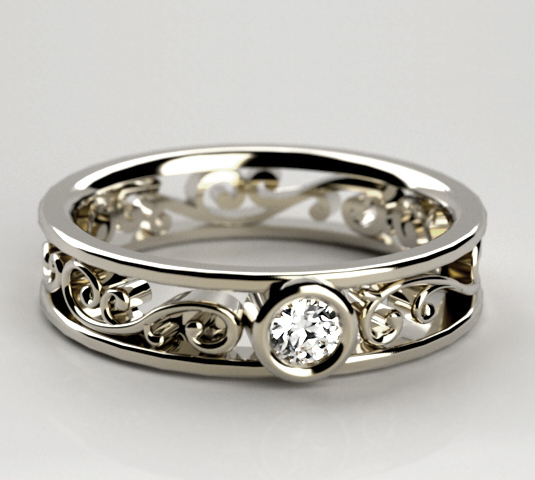 Our CAD modelers are all jewelry design artist with a little bit of engineer in them. 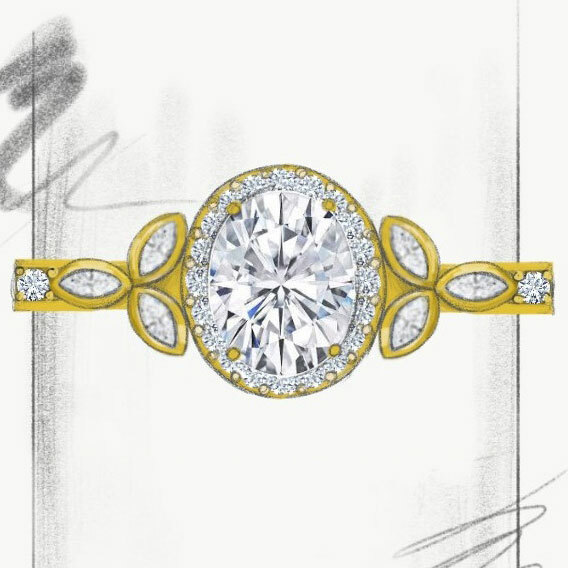 They strive for Artistry and technical perfection in every detail of each new design. 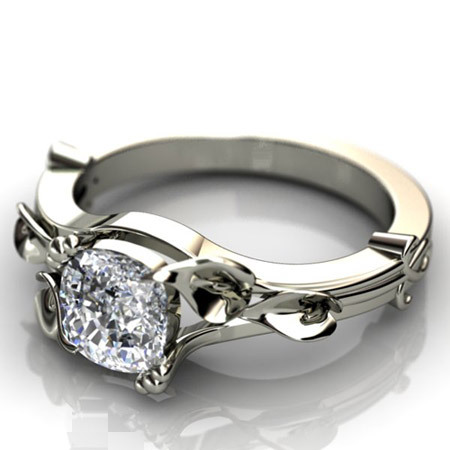 For pieces where CAD modeling is not the right approach, we may sketch, hand carve wax models or hand fabricate our designs. We generally send photos of each step via our Online Design Page SM, and often ship you a wax or resin model for approval.